If so, let’s do a quick run-down of the essential items that should be on your packing list! Well this is a good start, but it won’t be all that’s going to be necessary for your adventure. 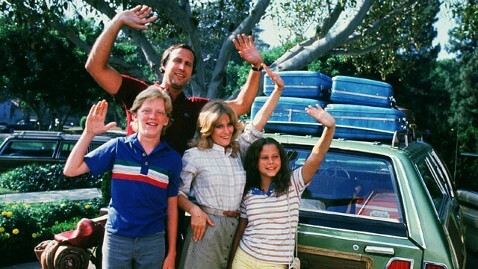 If you are at all familiar with National Lampoon’s Summer Vacation, then you will surely know the pitfalls (although in that movie slightly exaggerated) that come with being ill-prepared for a summer road trip. Once the list has been fully checked off, it’s time to pile everyone in the car and initiate count-up: 1-2-3! Turn that key! Shout “Goodbye!” to your home, and if it is house-trained it should stay put until you come back. On the map it looks like there a quite a few points of interests all over the country that you and your family wish to explore. First stop are the gigantic Redwoods in California. (Fun Fact: The tallest recorded redwood reached up to 375ft.) But as you approach Humboldt County line, you are immediately pulled over by the Highway Patrol! After he/she speeds away faster than what you were pulled over for, this thought occurs, “Is there any way that could have been avoided?” Well the answer is YES! When you were planning for your trip, you probably forgot to denote on the map where known speed traps are located. We live in a day and age where those crucial details can be looked-up! Simply go to trapster.com if you wish to do research on the driving route that you’re planning on taking. This way you can make the best time on the road in-between destinations, while also being aware of potential speed traps around the next bend. Trapster can also be used as a mobile app! While you man the steering wheel, have someone else work navigation and risk assessment. Using the aforementioned app for your smartphone, desktop, or tablet, will make your drive safer, more cost effective, and also allow you to have forewarning when it comes to speeding up or slowing down on the road. Check out the below link to see the layout provided by Trapster encompassing speed trap and risk aversion; Search using your address, and then click and drag on the map to see what speed trap identified areas are closest near you -www.trapster.com/trapmap. Before hitting the road and seeing what America has to offer, don’t forget that it can also offer traffic tickets! Last year in the U.S. 41,000,000 drivers received speeding tickets. It is estimated that this year, 20.6% of the licensed drivers in the U.S. will also be receiving speeding tickets. So let’s all strive to be a part of the 79.4% of driver’s who will have smooth travels without encountering any bumps in the road. If you are planning on going on a road trip this summer, keep in mind the measures that you can take which will provide for safe travels in your adventures to come!